There are several options to consider with a neck. Many established standards are in place for a reason, something that works very well is definitely something to continue doing. But there are many details that are overlooked by many - refinements and options that cost more work and material - but the results are worth the efforts and cost. 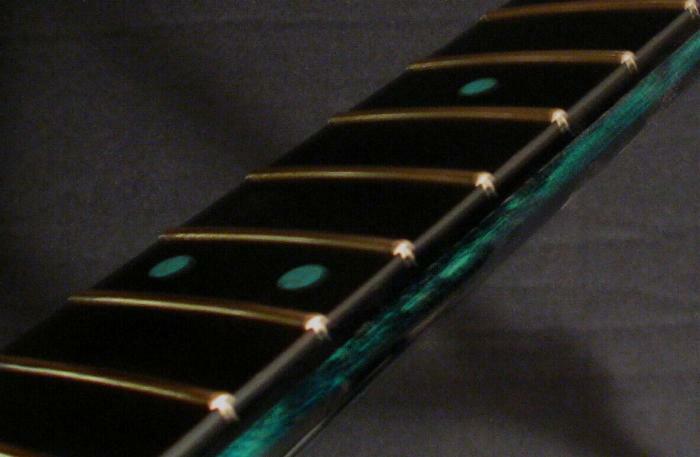 Fretsong is not in the business of building for a restrictive budget - we build the best, from the highest grade material available on the planet. The philosophy here is simple - nothing leaves the shop that will not rival anything on the planet. Work is never hurried, and that work speaks for itself in person. Several things were addressed when considering building wood necks. 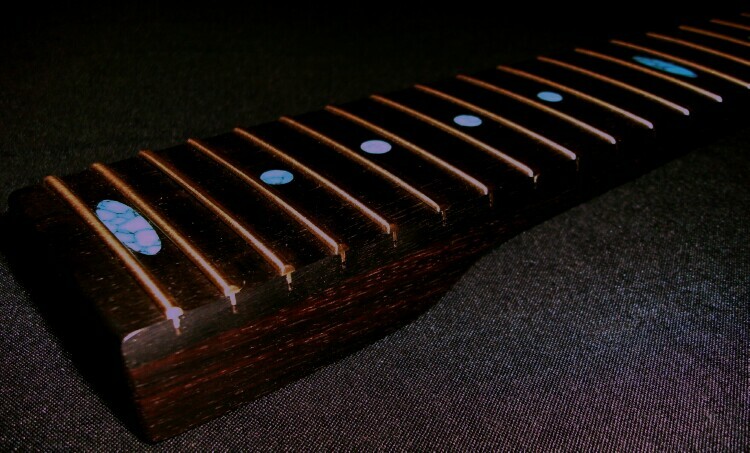 While some limitations exist with material, there are methods to making a seriously stable neck out of wood. 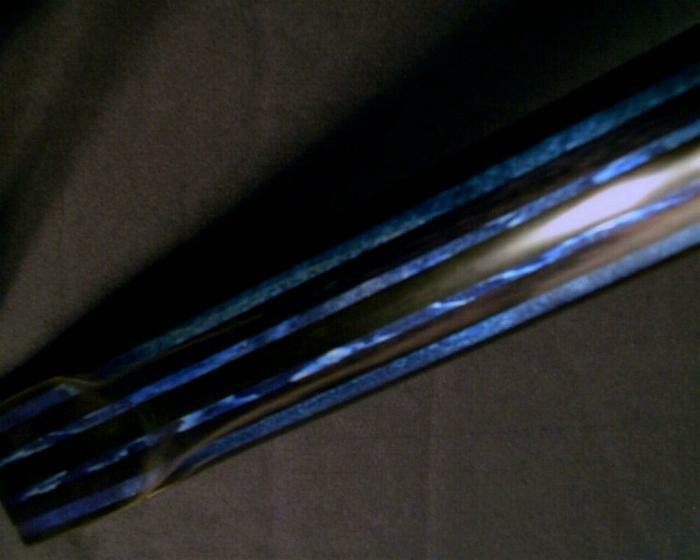 The use of vertical laminations adds an enormous amount of stability and rigidity. 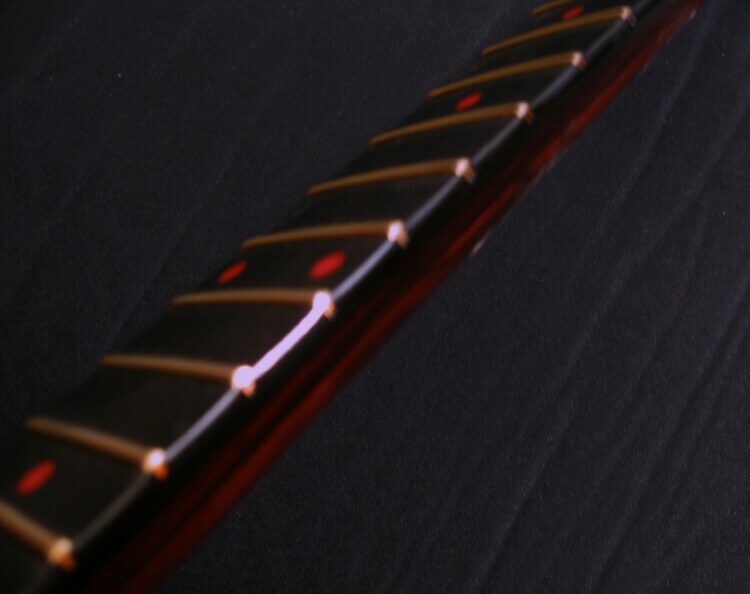 While other methods are used as well - solid and hollow carbon fiber rods, and some serious engineering can make these necks easily rival the strength and rigidity of composites. At the same time, the SOUND of these materials is unmatched. 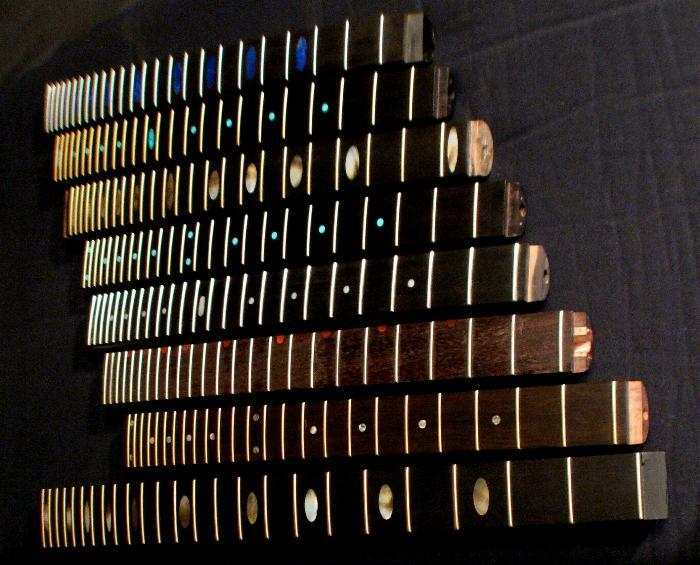 Nothing sounds like wood, and this is why Fretsong has added this product to our line. These will be available on a limited basis, so please contact us more more information. 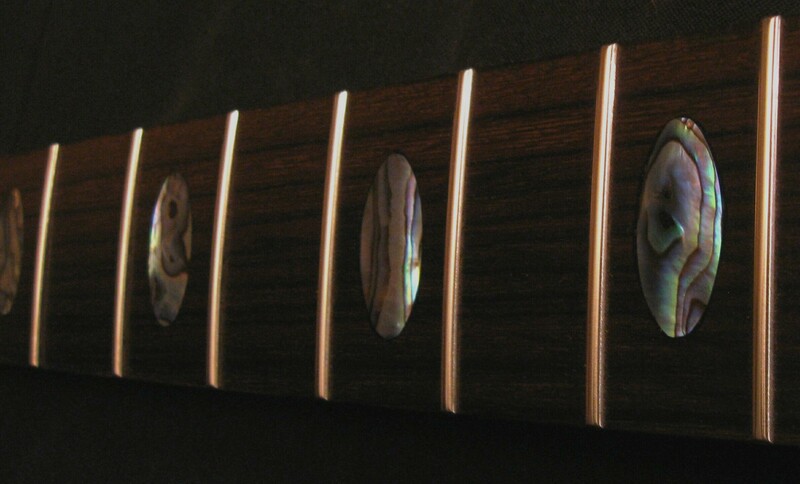 Please contact us with your design and features, and we will quote you a surprisingly good rate for your custom guitar neck. Prices range from $350.00 to $700.00 and up, depending upon the level of choices made. But you will find that we offer choices that you will not find elsewhere.